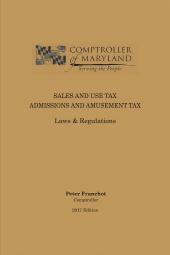 This publication includes the history and organization of the antitrust laws, business practices subject to antitrust scrutiny and available exemptions. 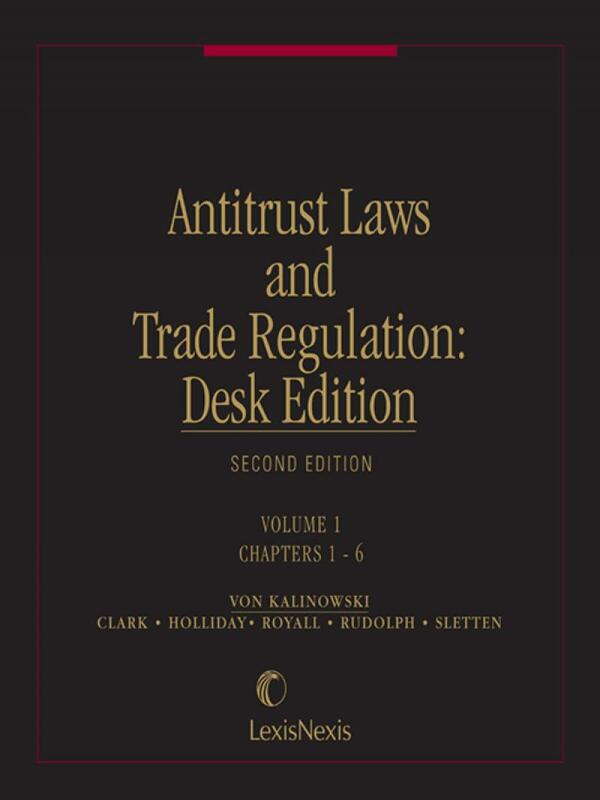 This two-volume Desk Edition is the companion to von Kalinowski's 10 volume master treatise on antitrust law, distilling the essence of its lengthier sibling without being derivative. 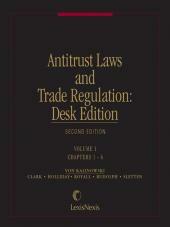 It is an indispensable desk reference to accompany and supplement the larger work, as well as a thorough yet concise stand-alone antitrust treatise in its own right. Because the effects of antitrust legislation are so pervasive, no business can afford not to be aware of the most recent developments in antitrust law. Antitrust Laws and Trade Regulation, Desk Edition prepares all practitioners, even those who do not regularly work with antitrust issues, to confidently advise their clients and to meet the demands of a regulatory atmosphere where the law is complex and the penalties for violations are high. Looseleaf; updated twice yearly with revision. 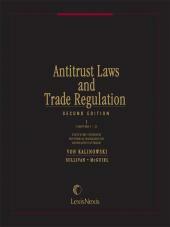 The late Julian O. von Kalinowski, or Kali, was the original author of Antitrust Laws and Trade Regulation, the most authoritative antitrust treatise available. Kali was also the author of Antitrust Laws and Trade Regulation: Desk Edition, and general editor of Antitrust Counseling and Litigation Techniques. Mr. von Kalinowski was a senior partner with Gibson, Dunn & Crutcher, one of the nation's leading law firms, and was chairman of its Executive Committee. 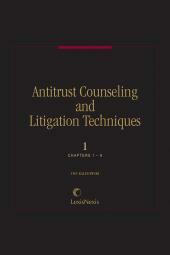 During that time, he specialized in complex litigation, including antitrust matters. Mr. von Kalinowski was a past chairman of the American Bar Association's Section on Antitrust Law and a Fellow of both the American College of Trial Lawyers and the American Bar Foundation. He was also past chairman of the Complex Litigation Committee of the American College of Trial Lawyers. In addition, Kali served as a United Nations Expert on Mission to the People's Republic of China, lecturing on the transfer of Technology and assisting the Republic in the development of its patent code. Mr. von Kalinowski passed in February of 2012. The other authors of his treatises will sorely miss his input, but will maintain the standard of excellence that Kali set in his honor.